With our Race Car Theme, each guest will don a blue race car jacket and hat. 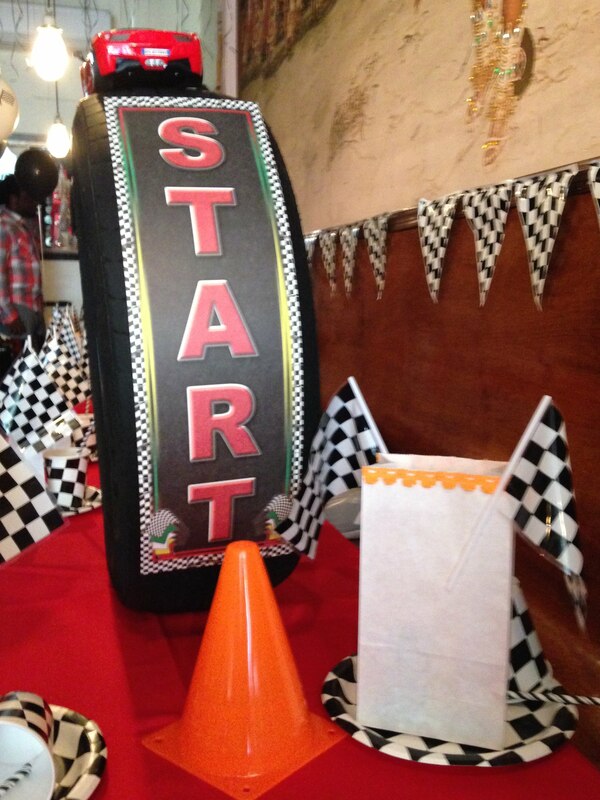 The guest of honor and his guests will have a blast having a race tournament with our remote control race cars. Each child will be awarded a trophy after the game of fun, then create their own race car hat! Package includes tables and chairs, table decor, dress up, favors, track runway, cones, tires centerpieces, face painting and tattoos, games and prizes.